Jackson Tillman is in third grade, lives in Kentucky, and has autism. The biggest challenge Jackson’s family has is that when a situation becomes overwhelming Jackson bolts, and when Jackson is with his grandmother she can’t keep up. That’s where Jackson’s buddy Mateo comes in. 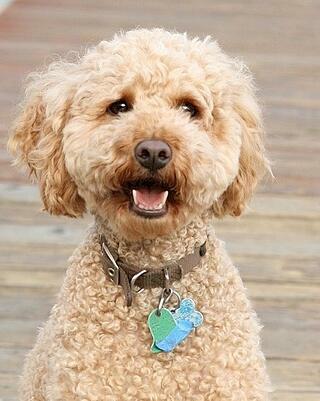 Mateo is a two-year-old Labradoodle with short curly locks. He is the first autism service dog in Kentucky. Mateo has changed Jackson’s life, and his family’s life. Jackson and Mateo go everywhere together -- school, shopping with his grandmother, museums -- and when Jackson feels stressed he plays with Mateo’s curly hair and feels calmer. Mateo came from “Autism Service Dogs of America” located in Oregon. Jackson’s parents participated in a week-long training in Oregon on how to best use Mateo with their son. They report that they have seen an enormous improvement in Jackson’s behavior, and that he is able to spend more time in the classroom and more time out socially when he has Mateo by his side. Mateo seems to work for Jackson, but are therapy dogs really an effective therapeutic intervention for children with autism? For some children therapy dogs or even the family pet can have significant positive effects on social, cognitive, and emotional functioning. Research bears this out: Fourteen studies reviewed in 2013 and a handful of new research studies in the past three years have uniformly found that therapeutic interventions with dogs, horses, dolphins, and even Guinea pigs have had positive effects on children with autism and their families. 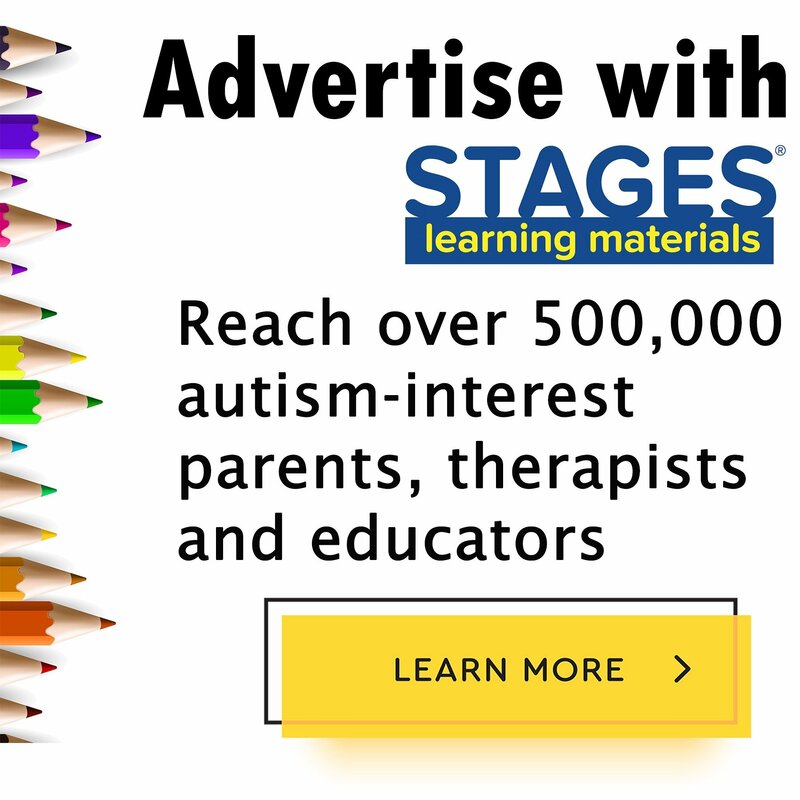 Children with autism frequently have difficulty focusing, responding to sensory stimuli, and communicating with others. Research tells us that pet therapy can be particularly effective in addressing these issues. More than a decade ago researchers were intrigued when they found that children with autism tended to prefer pictures of animals to pictures of people, and that they also tended to be less responsive to human voices than to other sounds. Additional research studies looked more closely at the animal connection, and recent studies show that introducing a dog to children with autism reduced stress, anxiety, and irritation and resulted in a more relaxed environment for everyone. Introducing a therapy dog has also been shown to improve prosocial behavior in children with autism, and the research indicates that the results were the same regardless of whether there was a trained therapist working with the dog and the family, or if the parents were trained and used the dog in a therapeutic way at home. Researchers have also investigated the impact of dogs on stress levels for children with autism by measuring physiological factors such as cortisol secretions that indicate when someone is feeling stressed. In one study that introduced dogs into families who had children with autism, stress levels decreased by 48 percent, and parents reported that problem behaviors had decreased significantly as well. Another study found that therapy dogs not only helped children, but also resulted in the entire family experiencing better interactions and improvements in overall happiness. Temple Grandin, probably the most famous person with autism, has demonstrated that some people with autism have special abilities to connect with and empathize strongly with the experiences of animals. Grandin is famous for helping calm down cows, and developing more humanitarian ways of treating farm animals. In a recent interview Grandin said that in her experience about a third of people with autism have strong bonds with animals, about a third are challenged with being around animals, and about a third are about average in their interactions with animals. While there is not clear research to bear out Grandin’s experiences, most parents have a gut feeling about whether their their child might benefit from being with particular animal or might become more upset or stressed. Choosing the right animal is also important: A small yappy high-energy terrier may not be the right choice compared to a calm and more complaisant well-trained Labrador or golden retriever. Most of the studies on pet and animal therapy for children with autism have focused on horses and dogs. Research on equine therapy programs has pointed to clear improvements in social and cognitive functioning for children with autism, but because horseback riding programs are expensive and require a great deal of infrastructure, dogs appear to be the most popular choice for both researchers and for families. But a new kid on the block, the Guinea pig, is also getting some attention by researchers. One of the most prominent researchers in the area of pet therapy for children with autism is Marguerite O’Haire from Perdue University. She and her colleagues have conducted several research studies on children who have autism and the effects of interacting with Guinea pigs. 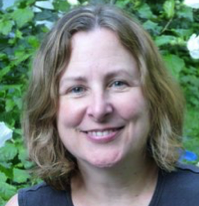 O’Haire and her colleagues found that children with autism had improved social skills and talked, smiled, laughed more and whined and cried less when Guinea pigs were present. and, group free play with a Guinea pig. The researchers found that for children with autism the first two activities were more stressful than for neuro-typical children, but the Guinea pig activity was more calming. 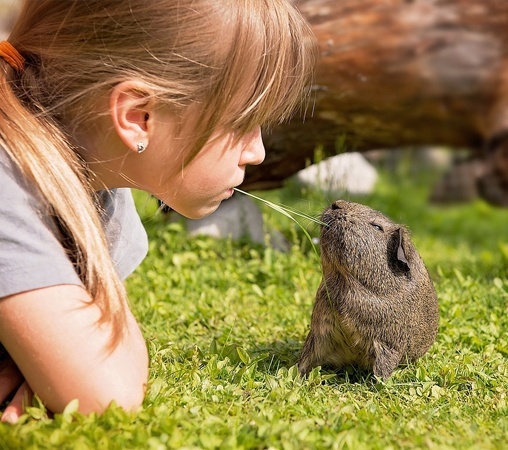 Interestingly, the neuro-typical children showed more signs of stress and arousal around the Guinea pig, than did the children with autism, but all children enjoyed the Guinea pig. More studies are needed on pet therapy, especially studies with large sample sizes and control groups such as the one conducted on Guinea Pigs. At the same time, we also know from research that each child with autism is unique and what works brilliantly for one child may or may not work for another. Trying pet therapy, perhaps initially in small doses, may be a good strategy to pursue for your child, and for your family.